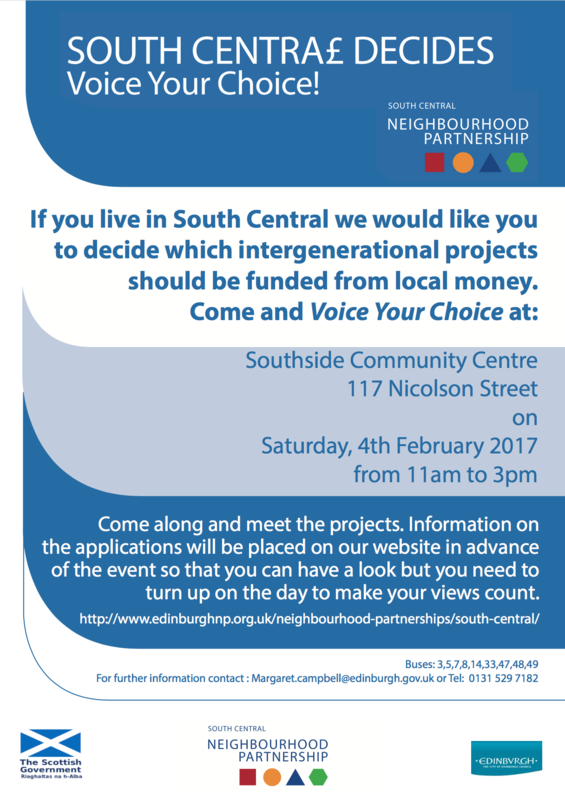 South Centra£ Decides is happening on Saturday, 4th February at Southside Community Centre, 117 Nicolson Street. The Scottish Government awarded South Central Neighbourhood Partnership £10,000 for intergenerational activity. The Neighbourhood Partnership has matched this with a further £10,000. This is an opportunity for local people to decide what local projects get funded so please can you encourage people to come along between 11 am and 3 pm.